As a longtime healthcare attorney, Kevin focuses on Medicare/Medicaid certification and reimbursement, facility licensure, commercial transactions, regulatory compliance and the purchase, sale and financing of health care facilities and businesses. He holds an advanced law degree in taxation and draws from his experience in taxation and as a former certified public accountant to maintain a strong healthcare transactional practice, which includes managed care contracting, provider contracting and real estate, including leasing, secured financing, mergers, acquisitions and sales. Kevin also counsels clients in the formation and operation of business entities, both for-profit and not-for-profit. He represents assisted-living facilities, clinical diagnostic laboratories, community health centers, durable medical equipment providers, home health agencies, hospices, managed care networks, nursing homes and organizations that provide ancillary health care services. 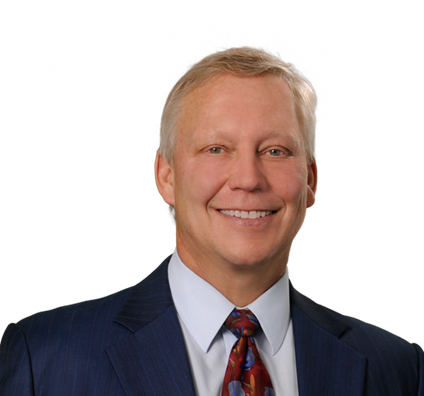 Kevin serves as associate general counsel to the Colorado Health Care Association (CHCA) and general counsel to the Colorado Community Managed Care Network (CCMCN) and other healthcare provider trade associations. He is a frequent presenter at seminars sponsored by healthcare associations in Colorado and other states. Kevin has an LLM in taxation and has successfully represented a number of clients before the Internal Revenue Service (IRS) and municipal taxing authorities in response to tax audits and notices. Kevin also has considerable experience in representing non-profit organizations with respect to maintaining their tax-exempt status, avoiding tax penalties and maintaining tax compliance for on-going business activities. Represented numerous clients in the acquisition and sale of long-term care facilities, including nursing homes, assisted-living facilities and home health agencies. Representation included negotiating the purchase or sale of the real estate and business assets, drafting the necessary documentation and obtaining regulatory approvals for licensing and Medicare/Medicaid certification. Acted as lead counsel on behalf of several nursing facilities that successfully overturned a Colorado Medicaid rate audit regulation that prevented nursing facilities from admitting relevant evidence for consideration during formal appeals of Medicaid rates before administrative law judges. Successfully represented Colorado nursing facilities in hundreds of administrative appeals concerning their Medicaid reimbursement rates and Medicaid Recovery Audit Contractor (RAC) overpayment audits under Colorado’s Medicaid program and obtained favorable settlements on behalf of several clients with respect to Colorado Medicaid Fraud Control Unit False Claims Act (MFCU) investigations and demands concerning Medicaid reimbursement issues. Assisted clients in organizing business entities, including creating multi-tiered ownership structures for operational and financial purposes. Provided regulatory opinions on behalf of large and small clients to address regulatory compliance issues for complex business and financial transactions.